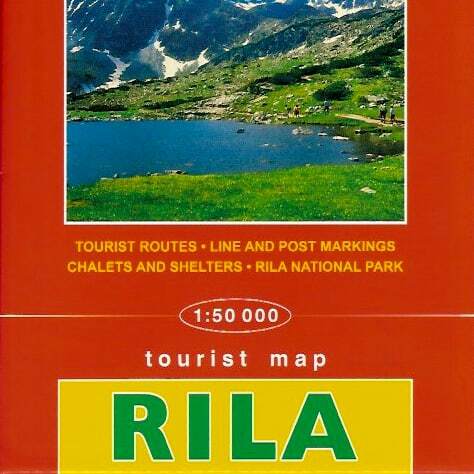 Map of Rila Mountains. 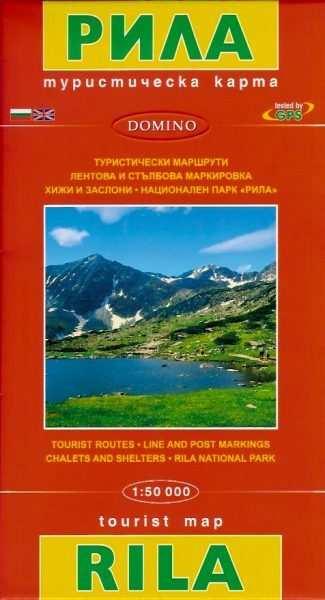 Contains information about Rila National Park, climate, biodiversity and wildlife, winter and summer tourist routes. 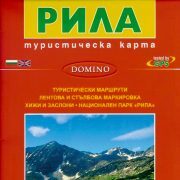 All the hiking trails are shown in color and all the names are given in Bulgarian language and in Latin transcription. The map is scaled 1: 50 000, contour lines in 50 meters. Issued in 2014 by Domino. A lot of hiking trails dont show up on this map! Very disappointed, on a 1:50 000 I would expect to see some of the smaller trails at least. 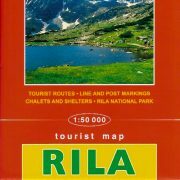 Makes it impossible to plan a trek using just this map. 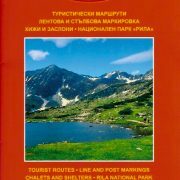 Actually all the official hiking trails within the National Park are pretty well displayed on the map, as well as many marginal trails. Of course it is not as detailed as the 1:25 000 one, but still covers what 90% of the visitors of the area would do as a route and planning is absolutely possible. Please let me know what info are you missing and I`ll try to give additional directions. You can reach me via the contact form.